Bournemouth produced an emphatic second-half display as Joshua King scored twice in a thumping 4-0 win over hapless Chelsea at the Vitality Stadium. Maurizio Sarri's side dominated the first half on the south coast, but collapsed to their heaviest Premier League defeat in 23 years after the break as Bournemouth secured a first home win against them since September 1988. King broke the deadlock just 90 seconds after the restart and David Brooks doubled the home side's lead with a smart finish from King's pass (63) before the Norwegian fired in his second when he met Junior Stanislas' cross (74). There was still time for Charlie Daniels to head home a fourth in stoppage time (95) as Eddie Howe's side moved back into the top half of the table. The result means Chelsea remain level on points with fourth-placed Arsenal but outside the Champions League spots on goals scored. 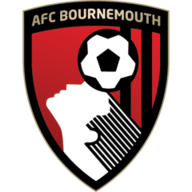 Bournemouth: Boruc (7), Clyne (6), Cook (7), Ake (7), Smith (6), Surman (7), Gosling (7), Stanislas (7), Brooks (8), Fraser (6), King (8). Chelsea: Kepa (5), Emerson (5), Azpilicueta (6), Rudiger (6), Luiz (5), Kante (5), Jorginho (5), Kovacic (5), Pedro (5), Hazard (5), Higuain (4). In the 300th game of his second spell in charge of the Cherries, Howe was forced to do without midfielder Jefferson Lerma and talisman Callum Wilson - ruled out for three weeks following a minor knee operation - and Chelsea were the dominant side in the opening exchanges. Mateo Kovacic forced Artur Boruc into a brilliant save as the Croatian met Pedro's cross but saw his header tipped onto the crossbar before the veteran Boruc was alert again to smother Eden Hazard's right-foot shot from the edge of the penalty area. There was no Wilson for Bournemouth, who failed to shake off a knee injury in time, meaning King was the lone striker this evening. Stanislas started while Surman came in for Lerma. Solanke and Mepham made the substitutes' bench. Hudson-Odoi was absent from the Chelsea squad as Higuain made his Premier League debut for Chelsea while Emerson replaced Alonso at left-back and Pedro replaced Willian. 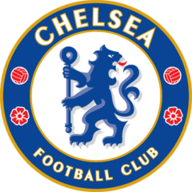 It took until the 35th minute for Bournemouth to test Kepa Arrizabalaga as King directed his header from Steve Cook's pull-back into the path of Brooks, but the Welshman's effort from close range was straight at the Chelsea keeper. Cesar Azpilicueta forced Boruc into another fine save to his right before the interval, but it was only after half-time that the game really came alive. Chelsea were still easing their way into the half when the lively Brooks showed great composure to set up King for a fierce shot into the roof of the net and the pair combined once more for Bournemouth's second as David Luiz sold himself far too easily to allow Brooks to flash the ball past Kepa at his near post. Things got worse for the visitors when Stanislas unselfishly slid the ball across for King to lift his shot over Kepa for his second, as Chelsea supporters headed for the exits. The closest Sarri's side came to reducing the deficit fell to Azpilicueta as Boruc saved the Spaniard's header from close range with his feet - and Chelsea have now failed to score in three successive away league games for the first time since under Claudio Ranieri back in 2002. 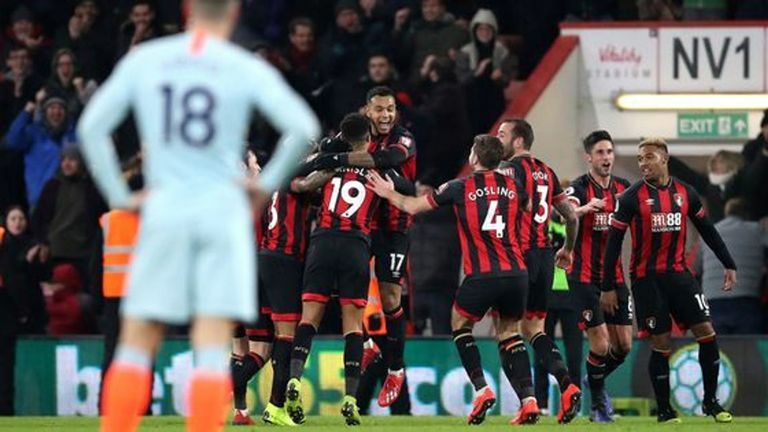 Bournemouth made it back-to-back Premier League wins for the first time since the end of October in style as Jordon Ibe's free-kick was flicked into the net by Daniels to complete a miserable night for Chelsea. Eddie Howe: "We hoped to give the best account of ourselves possible, and one aspect of our play was very good. Our counter-attacking was superb tonight in both the first half and second half - the first half without any reward, the second half we got the goals. "It was a brilliant defensive display. So many players throughout the team really excelled in that discipline, so it's been a good night. 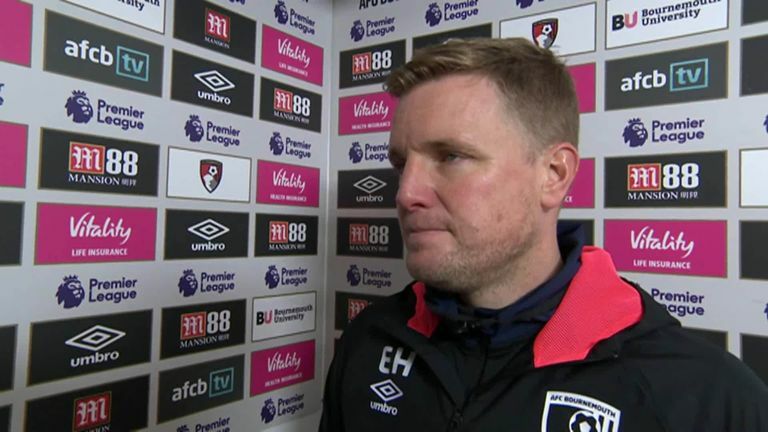 Eddie Howe says Bournemouth’s counter-attacking was superb and also hailed the team’s defensive display during their 4-0 win against Chelsea in the Premier League. Maurizio Sarri: "I am not able to explain because we played very well in the first half. We conceded the goal very early in the second half but we had 43 minutes so all we needed to do was to continue to play. "Maybe it's my fault because maybe I'm not able to motivate this group and these players. I don't know why. But I need to understand and we need to understand very soon because we have to play in three days." 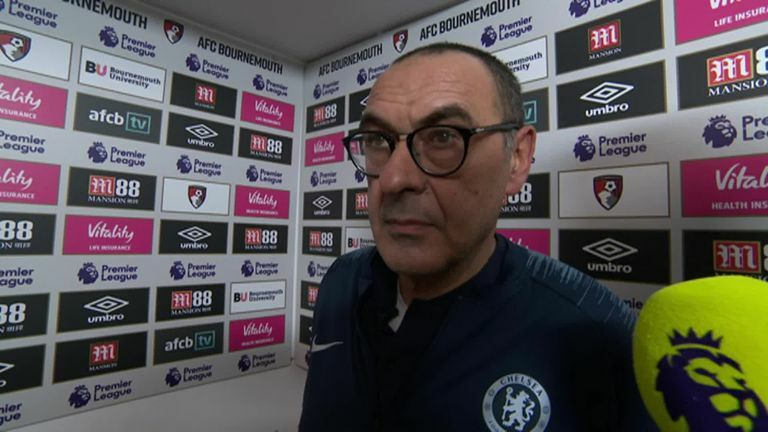 Maurizio Sarri says he cannot understand how Chelsea suffered a 4-0 defeat to Bournemouth but he must work out why very soon. In Wilson's absence, there was pressure on King to fill the England striker's boots, but after a quiet opening 45 minutes, he came to the fore and flourished as Chelsea chased the game in the second period. The 27-year-old ran the Chelsea defence ragged as he combined so fluently with Brooks and showed great composure to take both his chances. Chelsea played a high line and played into Bournemouth's hands and King has now scored three goals in his two games against the Blues at the Vitality Stadium. Bournemouth secured only their second ever competitive home win against Chelsea and first since September 1988 (L5). This is just the second time in Premier League history that Chelsea have lost a game by a four-goal margin, after losing 1-5 versus Liverpool in September 1996. Chelsea have lost consecutive Premier League games for the first time since March 2018, when they lost to both Manchester clubs. Both of Bournemouth's Premier League wins on a Wednesday have come against Chelsea. Chelsea have won 47 points after 24 games this season - three fewer than at this stage in 2017-18 (50). Bournemouth's David Brooks both scored and assisted in an English league game for the first time in his career. King has been directly involved in 48 Premier League goals for Bournemouth (38 goals, 10 assists), 12 more than any other Cherries player in the competition. Bournemouth travel to face Cardiff City on Saturday evening (kick-off 5.30pm) while Chelsea host Huddersfield earlier on the same day (3pm).